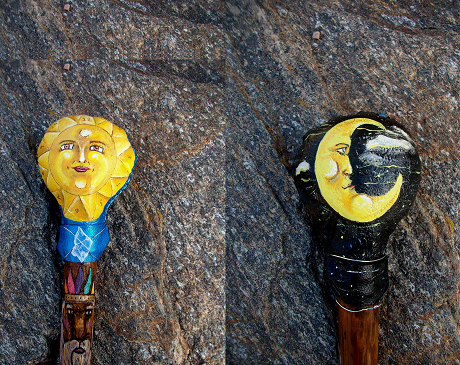 By the artist "Moon Cat", the Sun, Moon and Father Time Rattle embodies the energies of the cyclical Natural World. It's medicine reminds us to honor all phases of life, as with endings come new beginnings and within the flow of change we remain in balance. This Rattle is made from rawhide and contains organic corn, selenite and clear quartz crystal within it. 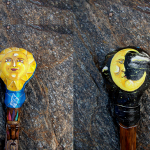 It also has a selenite crystal mounted on the handle of it.